Why are you making this application? The opening of your personal statement should provide some reasoning for your choice of subject. It will usually make up around 30-50% of the total. You should avoid using clichéd and commonplace introductory sentences that any other applicant might have written. Don’t begin with a bland variation of one of the following statements. All of these opening phrases are very hackneyed, lack depth and are no where near specific enough. To persuade an admissions tutor that your interest is genuine requires real-world, concrete, evidence. Course content of the subject you are applying for. Subject (s) you have studied at school or college. The academic skills you have developed. E.g. Critical analysis, essay writing, problem solving, mathematical proficiency, physical dexterity, independent learning. A personal project or hobby. E.g. building computers, conserving species of butterflies. A journal or book you have read beyond the syllabus that you found engrossing. A film or TV programme that influenced you. A theoretical position that has captured your imagination. A lecture you attended on your own initiative you found motivating. Positive experience whilst on a relevant work placement. A theorist you have been inspired by. A public figure or major event. A personal experience or someone close to you who has engendered your interest. Ideally you should be able to write about at least three or four substantive examples in which you explain how and why they influenced your choice. This type of critical analysis is of course a prerequisite of most undergraduate study. Bringing this to bear in your personal statement is therefore highly advantageous to your chances of a receiving an offer. It will require some deep thought, research and a series of redrafts. Consider talking to people who know you well, such as tutors, family and friends for help and ideas. To get started consider making a bullet-point list of the reasons that you are applying for the course. Add everything you can think of, even if it may seem inappropriate. Be creative and let your imagination go. Put aside your list for a day or two, then go back to it. You may well find that you have thought of some really excellent reasons you can add. From here you can select the best examples, and write a few simple paragraphs. Don’t worry if the wording doesn’t sound quite right as you will be able to fix that in your next draft. After a couple more re-drafts you should have at least 30-50% of the personal statement, written to a high standard. If you have work experience that is highly relevant to your course, you should mention it in this section of the personal statement. Many subjects such as Law, Medicine, Dentistry, Nursing and midwifery, Physiotherapy, Veterinary science and Teaching will expect it. 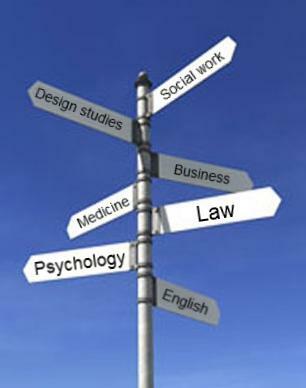 If at all possible obtain as much work experience or shadowing as possible, that is relevant to your choice of subject. It can only make your application stronger. It says to admissions tutors that you have initiative and are dedicated to this specific course. Work experience that is not relevant to your subject can be included in the, ‘Extracurricular interests and achievements’ section. This entry was posted on Saturday, September 26th, 2009 at 9:18 pm	and is filed under The UCAS Personal Statement. You can follow any responses to this entry through the RSS 2.0 feed. You can leave a response, or trackback from your own site.